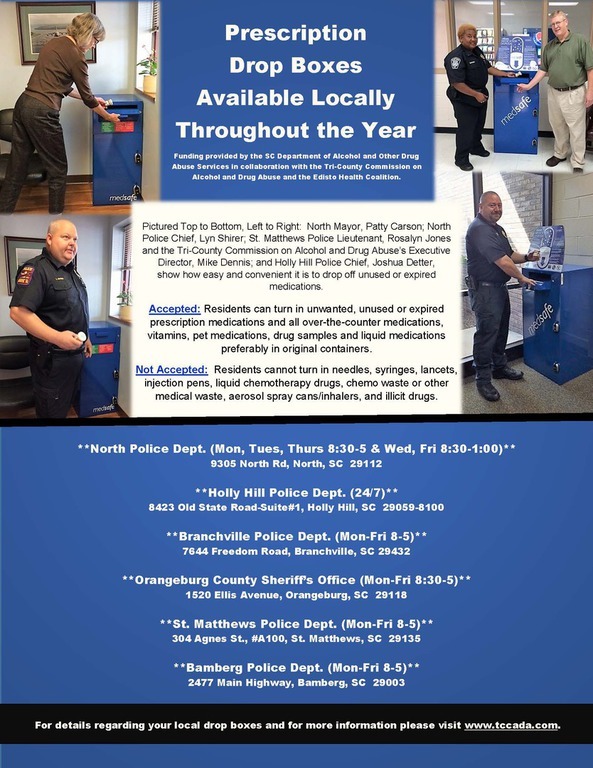 Prevention services are designed to help tri-county citizens of all ages avoid the dangers of using alcohol, tobacco, and other drugs. Services strive to prevent young people from experimenting with these substances, as well as, to prevent the development of problems among specific high-risk groups and the public at large. Available in communities throughout Orangeburg, Bamberg, and Calhoun counties, prevention services are based upon principles of sound research and developed according to the ten steps of the planning and evaluation model, Getting to Outcomes. They are designed to address specific risk and protective factors within the community. Each program is developed within the framework of the six prevention strategies outlined by the Center for Substance Abuse Prevention (CSAP). All of the programs selected for implementation are universal and multi-faceted with the exception of the Alcohol Education Program (AEP). Programs are updated annually to address current issues surrounding substance abuse in our communities. Consultation and training is available for schools, neighborhoods, businesses, churches, and other community groups. Early identification and referral programs target specific individuals for participation and are more intensive in nature than prevention efforts that are directed to the general adolescent population. This CSAP prevention strategy aims at the identification of those adolescents who have indulged in the illegal use of alcohol in order to assess if their behavior can be reversed through education. It should be noted, however, that this strategy does not include any activity designed to determine if a person is in need of treatment. A key aspect of this strategy is the voluntary participation of youth in drug-free activities which allow youth to enhance their skills and/or knowledge, occupy their unstructured time, and involve them in community service. Some programs may have costs associated with them. For more information on prevention services, call 803-536-4900, ext. 138.